Typically, having a disaster recovery (DR) solution for a business’s IT systems requires the deployment of a full physical DR site with the associated costs and complexity of mirroring IT systems and data. The Eurotech Cloud Disaster Recovery-as-a-Service (DRaaS) offers clients a robust and scalable DR solution without any CapEx investment, by leveraging the economies of scale of cloud infrastructure. 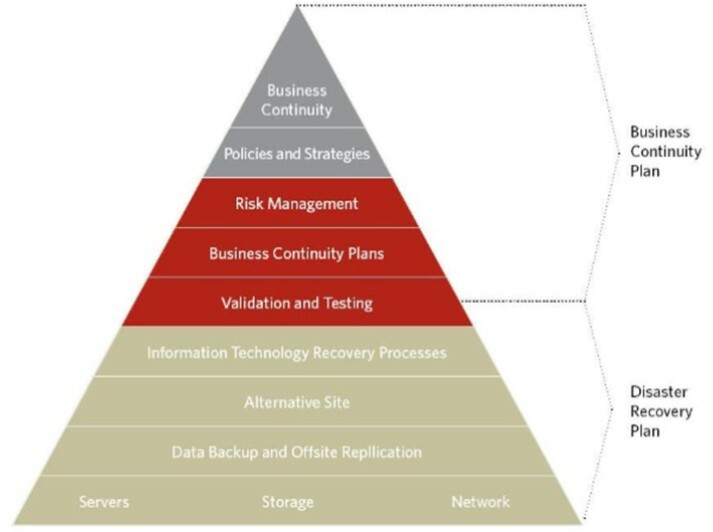 DRaaS contributes to a comprehensive Business Continuity Plan (BCP), by ensuring that all IT systems and data are fully recoverable at a remote site in the event of a disaster. DRaaS delivers all of the capabilities of a physical DR site without the complexity and cost. This provides the business the ability to withstand the shock of a disaster without the threat of having to close its doors. DRaaS is hosted from a Tier 3/4 datacenter facility with resilient power, cooling and connectivity as well as physical security. A corporate VPN connection or leased line between the Client’s offices and the datacentre provides the connectivity (from 10Mbps to 10Gbps) to the service. Snapshot replication of virtual machines and data is passed from the primary site to Eurotech’s cloud datacentre and stored in a resilient and scalable platform that possesses both the compute and storage capacity needed to spin up the Client’s virtual infrastructure in the event of a disaster. Eurotech’s DRaaS offers class-leading Recovery Point Objectives (RPO’s) of near-zero and Recovery Time Objectives (RTO’s) of seconds to minutes (service options dependent) to ensure your business can continue operating almost without interruption and without loss of data. DRaaS offers flexible deployment options and service classes and can be tailored to suite business requirements. The base service features are defined in the DRaaS Service Description but can be further extended to include options such as custom integration with the Client site and/or a fully managed service wrapper to outsource the specific costs and risks associated with managing a Disaster Recovery infrastructure in-house.